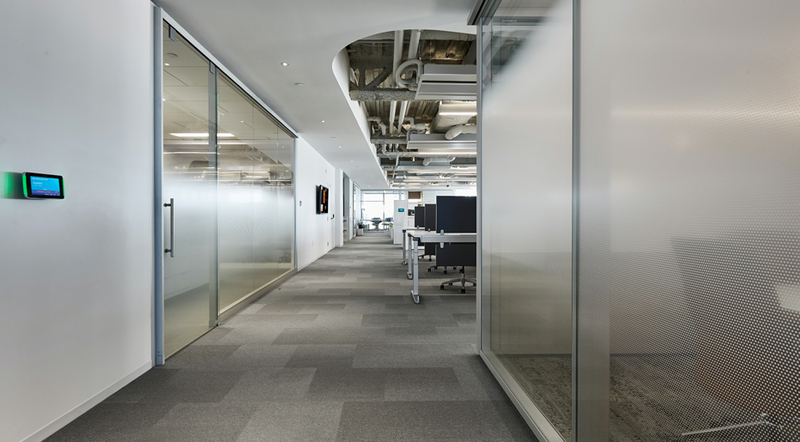 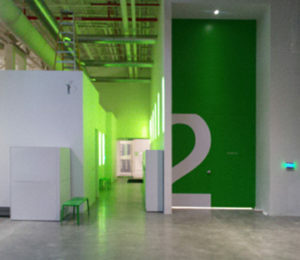 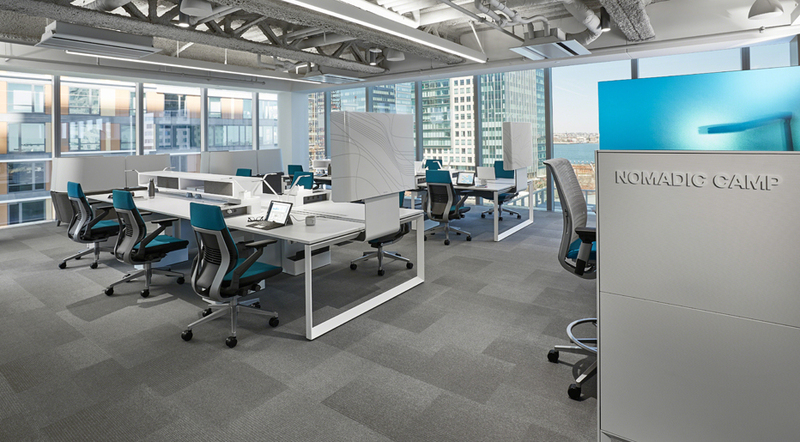 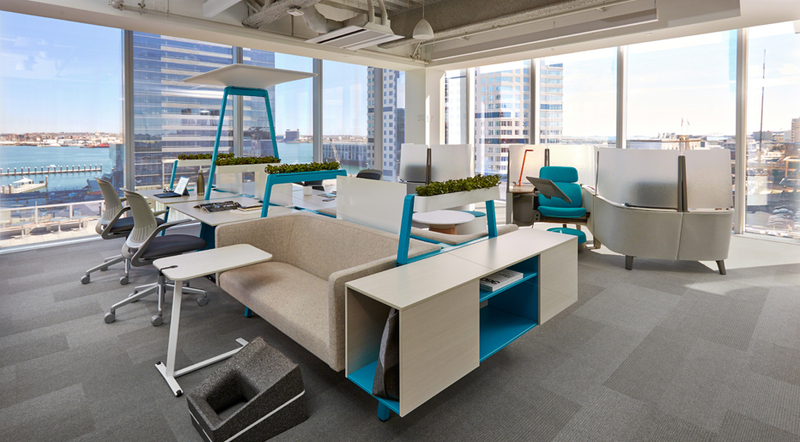 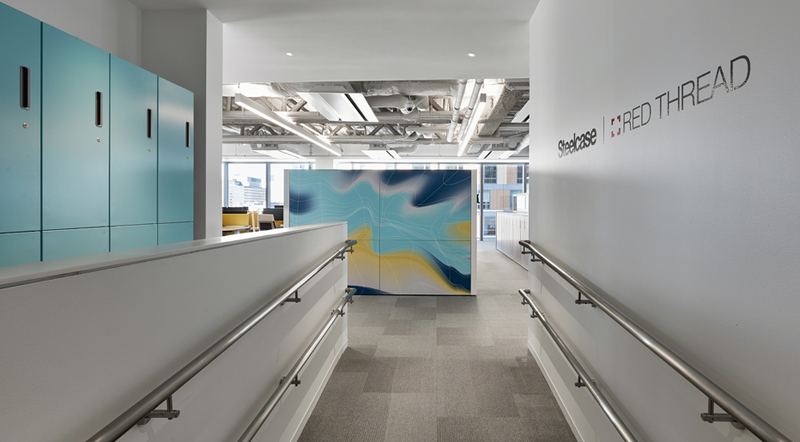 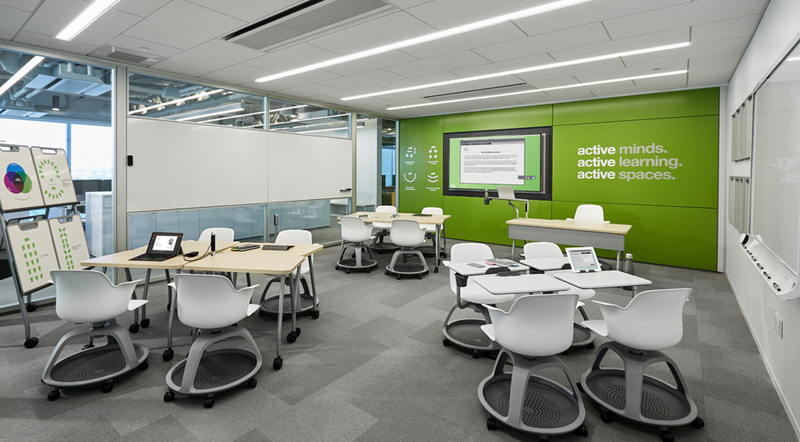 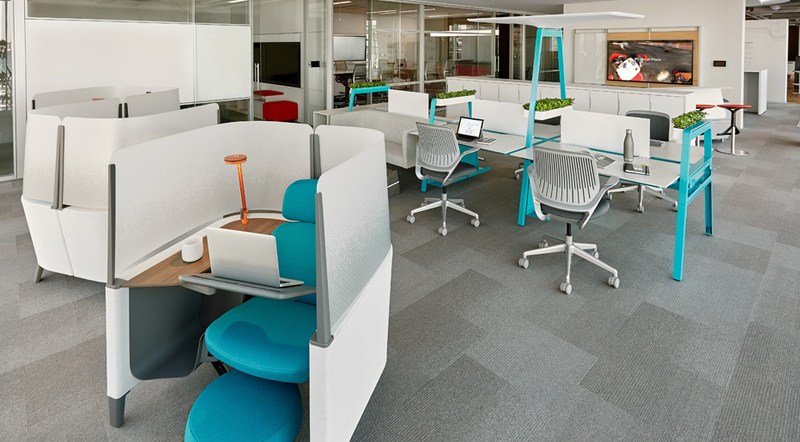 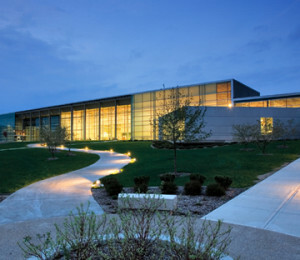 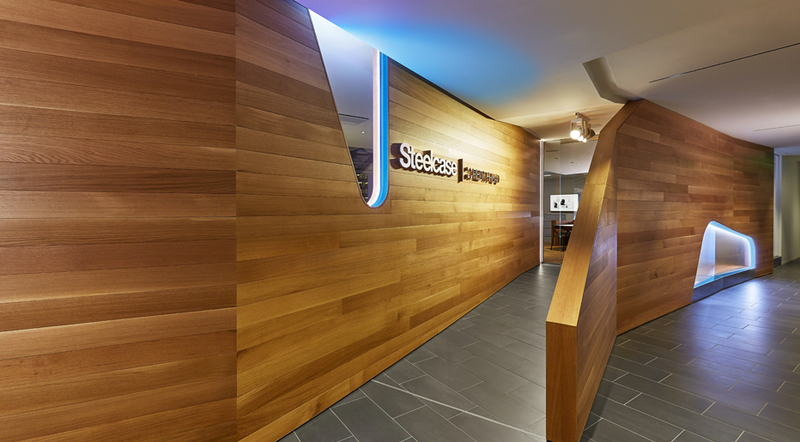 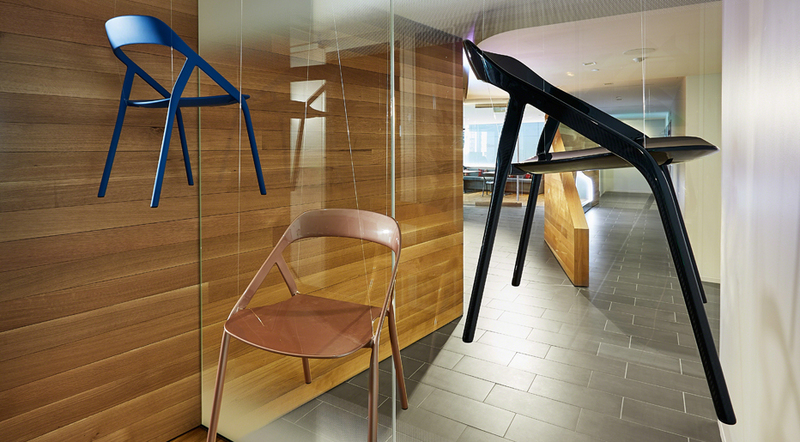 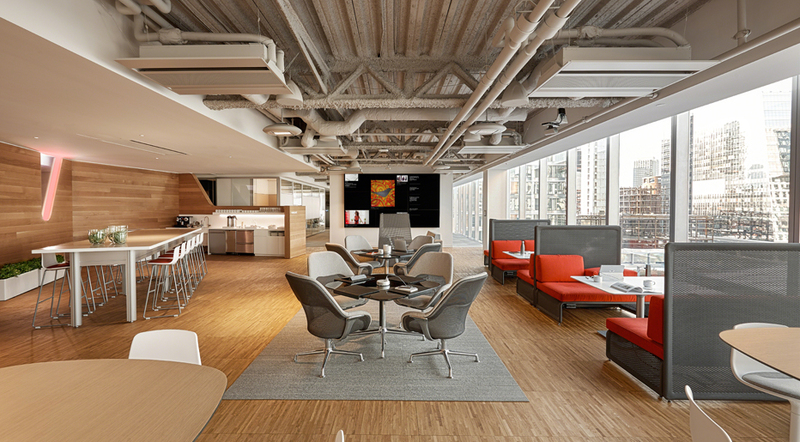 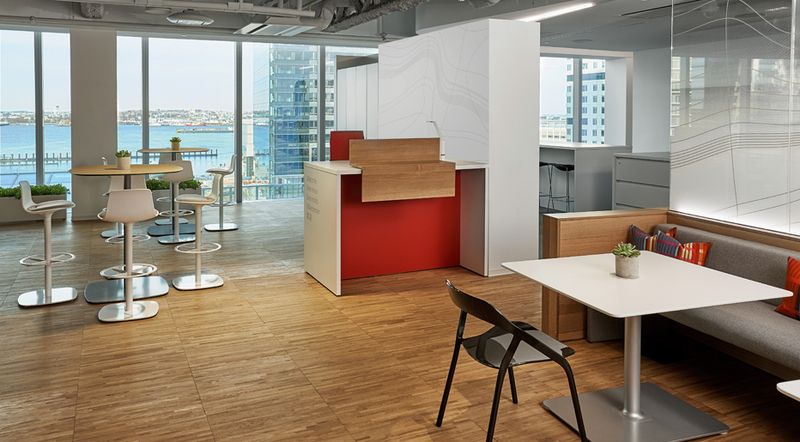 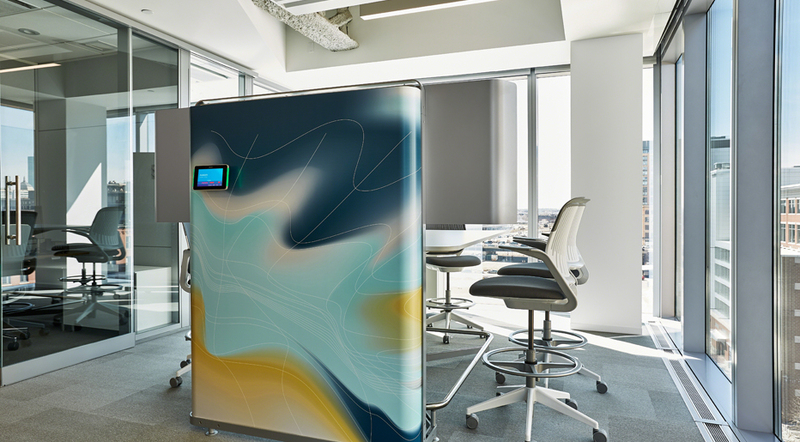 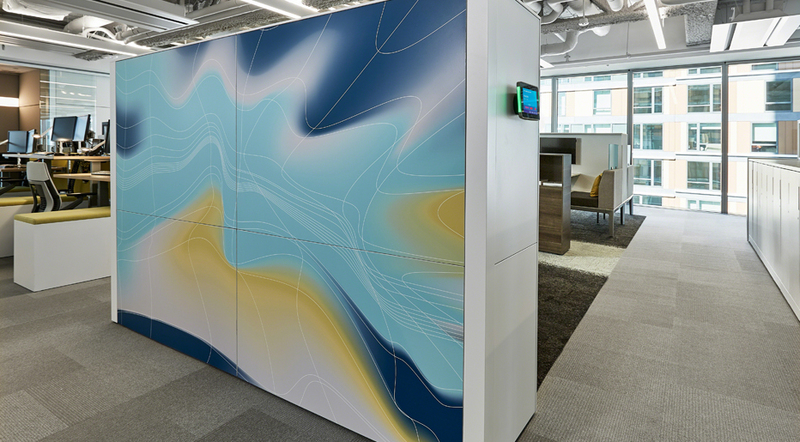 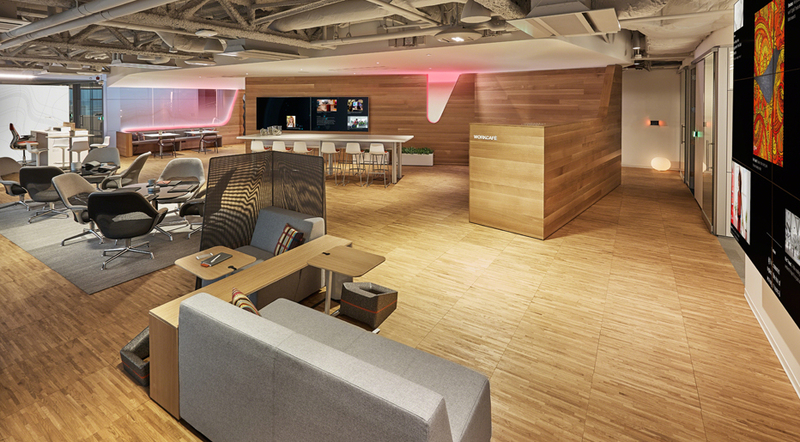 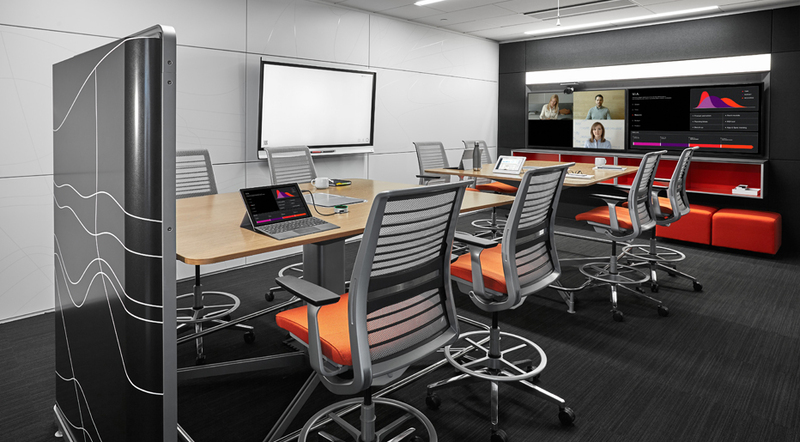 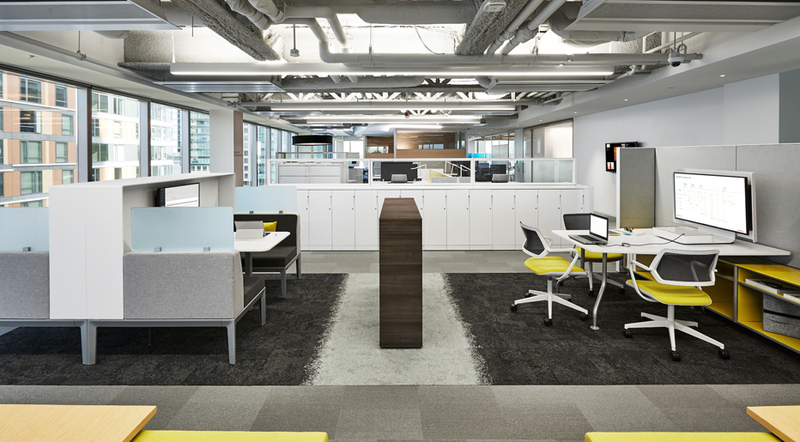 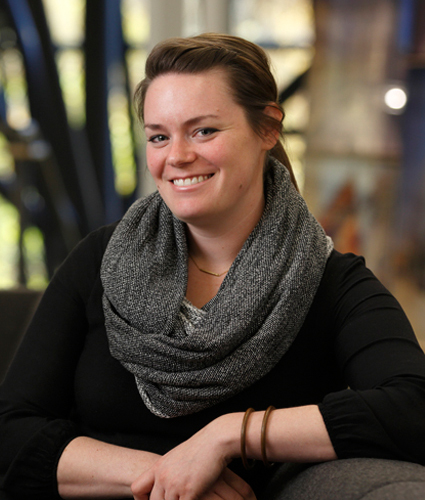 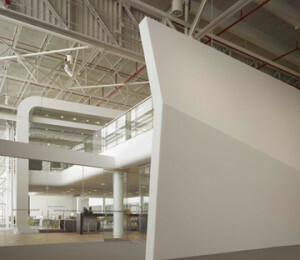 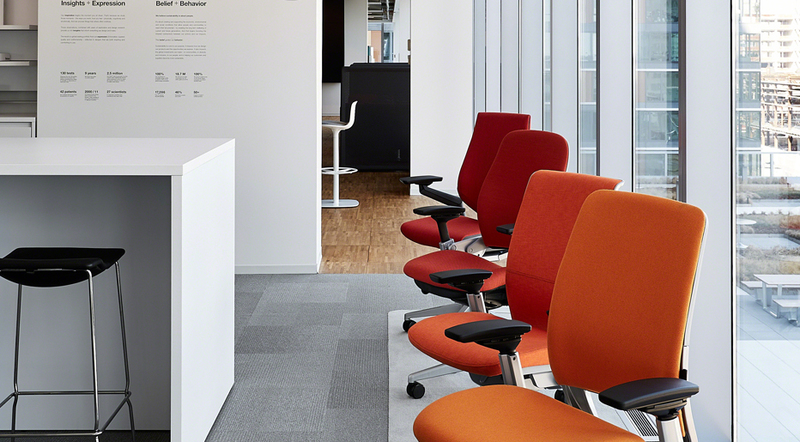 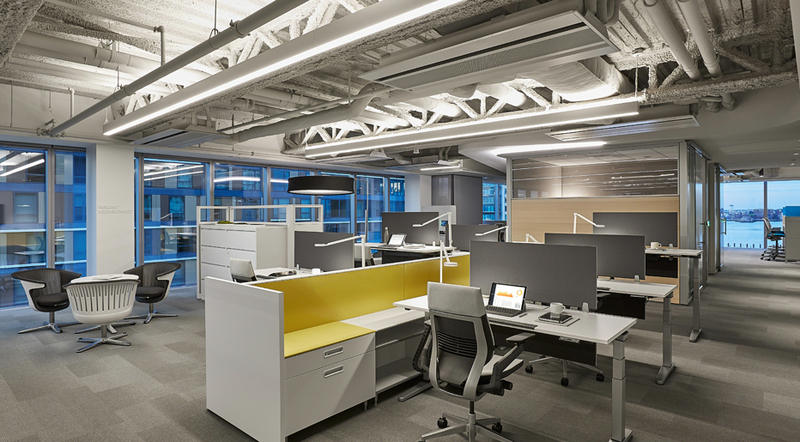 As Steelcase looked to implement a new Real Estate strategy to share space with their regional dealer, Red Thread, Progressive AE was asked to lead the design process and bring together the goals and needs of varying stakeholders while staying true to the Steelcase and Red Thread brand promises. 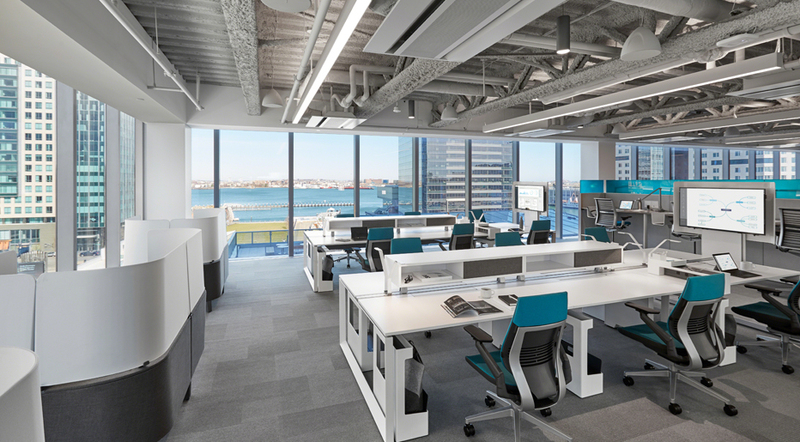 The 12,500 square foot workspace occupies a little more than half of the sixth floor of a newly developed mid-rise in the Seaport District in Boston, a vibrant and growing community also often called the Innovation District. 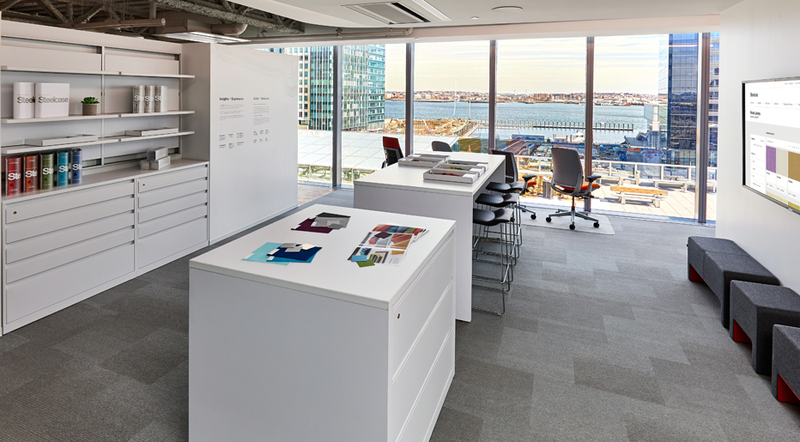 Facing a significant reduction in square footage from previous spaces, our team recommended a ‘working showroom’ concept in which all areas in the space would be available for both staff use and customer engagement, rather than dedicating any square footage for static showroom. 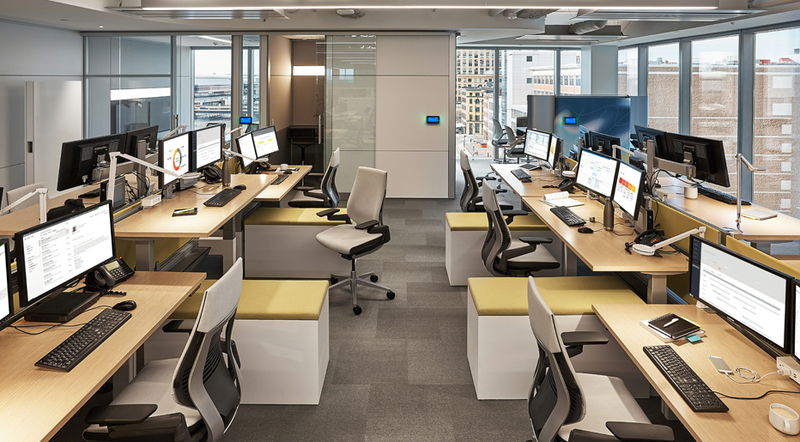 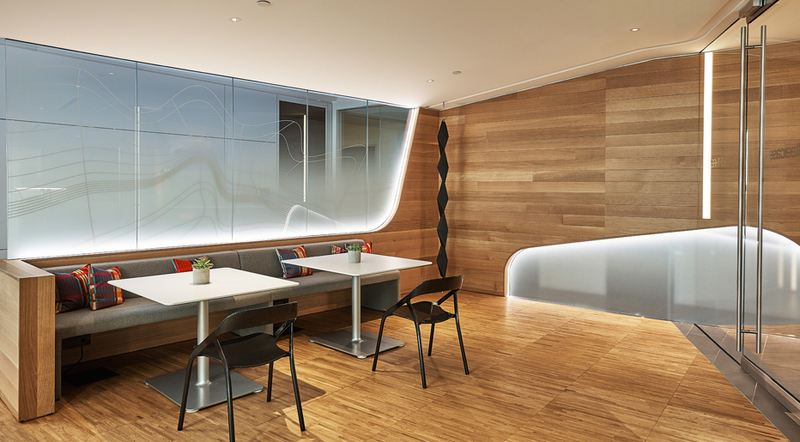 Many staff were also shifted to mobile workstyles based on role and time spent out of the office, with a range of shared options for work space when they are in the office. 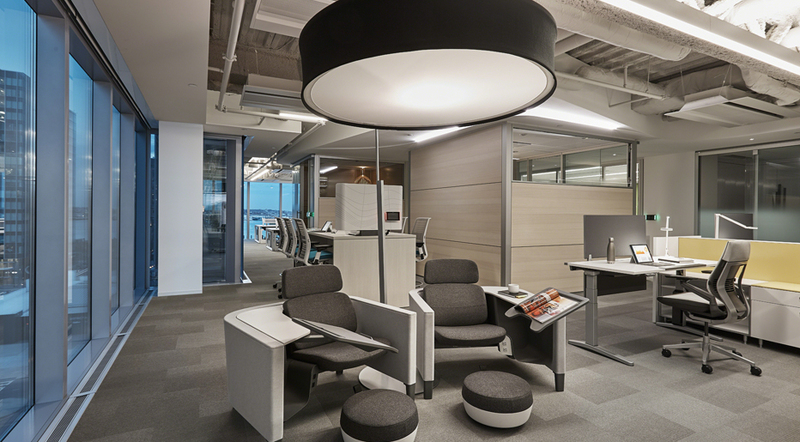 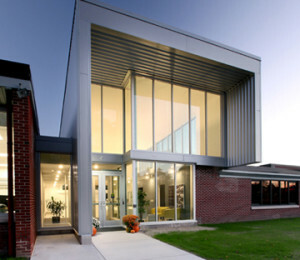 This philosophy allowed us to support the workstyles and needs of this constituency by showing furniture, technology, and architectural offerings in an authentic way.